Quakers en France : The main national site, in French only. Includes subjects such as : “The Quaker Way” and “Quaker Witness“. Also includes links to Quaker sites around France. For example, in Nantes and Toulouse. The Quaker House at Congénies, in the Languedoc region of southwestern France. In English and French. “Stop Fuelling War!“. An alliance of European Quaker groups for peace, hosted in the Paris Quaker Centre. Also present on Facebook. 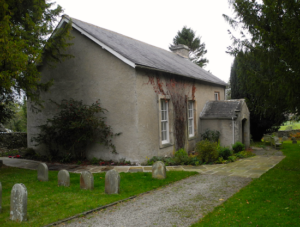 The Quaker Meeting House in Yealand, northern England. Built in 1692.